Xiaomi power bank is doing great in external battery packs and most recommended nowadays because of its features and quality of product and last but not least looks. If you want a low cost power bank then this will be our first recommendation. 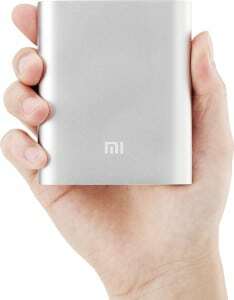 Xiaomi Mi 10400 power bank carries a minimalistic look. Anodized Aluminum body gives it a polished look which is better than the feel of plastic bodied powerbanks. Though a little hefty the battery packs a charge of 10400mAh. It is equipped with a small power button and four LED lights to indicate the status of the battery. Each LED light indicates 25% of the battery charge. Power button’s sole function is to check the charge on the Xiaomi powerbank. Xiaomi Mi10400 has two ports one is micro USB output port for charging devices and another USB input port for charging power bank. Xiaomi comes in seven different colors too. Owing to its large capacity of 10400mAh it takes roughly 10 to 13 hours to charge as per input current and other conditions considered. 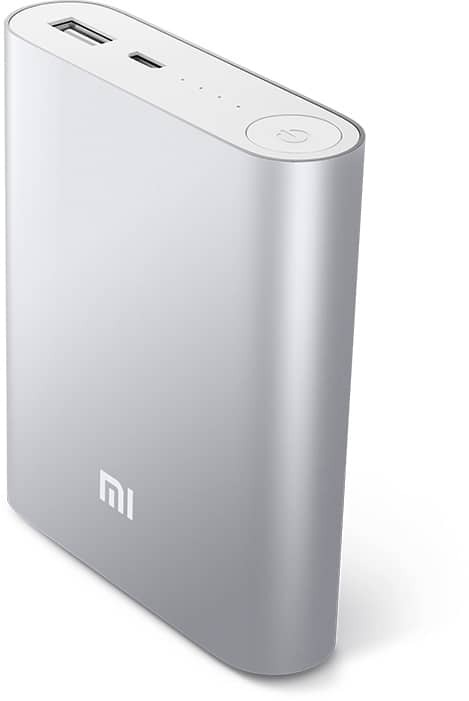 Once fully charged Xiaomi power bank can be used for a few days. Also, the charger used makes quite a bit of a difference- it will charge faster with a 2A charger than a 1A charger. The time taken by phone or tablet to be charged depends on its internal circuit. We tested Mi10400 capacity and found that it charges Nexus 5 (nexus 5 has battery capacity of 2300 mAh )in under two and half hours. Xiaomi mi 10400 supply output current of 2.1A so tablets and i-pad can be charged with this power bank. Charging a device for long time does not cause the power bank to heat. This could be because of its metal body and it would add another advantage in this portable battery. 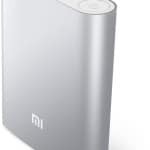 Xiaomi Power Bank Review concludes that overall this is a very good choice as it has good looks, metallic body, small size compared to capacity (10400 mAh), handy, portable, automatically charges device when connected, auto shut off feature, and low in price. The only disadvantage I can figure out is it has only one output port so can be used to charge only one device at a time. 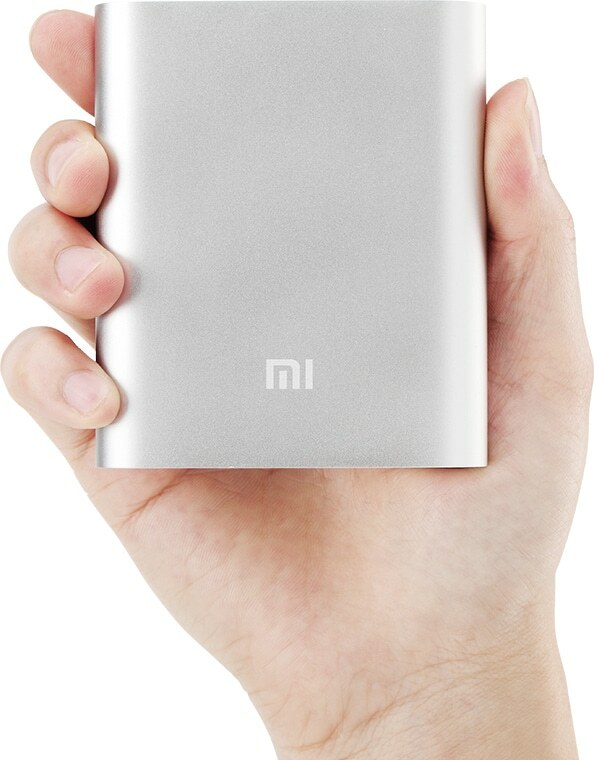 We bring this Xiaomi power bank in—for its Affordability, Capacity and Minimalistic Looks! We suggest Xiaomi 10400mAh to those who find themselves constantly on the go or stuck in situations where your phones and tablets keep dying out and need a low cost solution.